On Saturday we had some friends coming around and I thought I'd make something special. 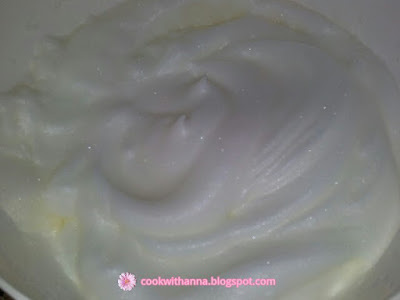 I saw this recipe and it looked so good I just had to make it. 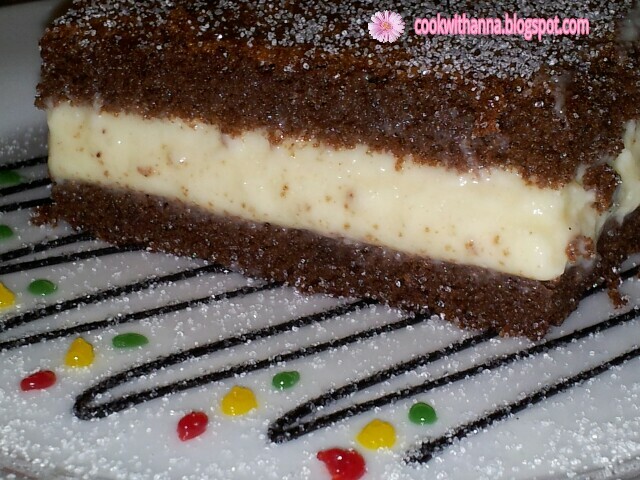 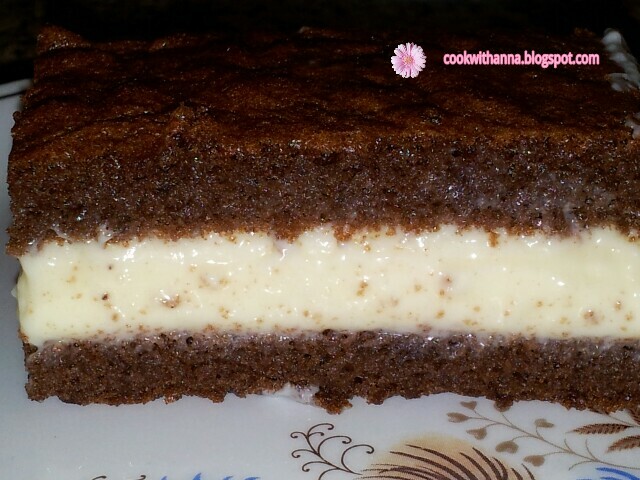 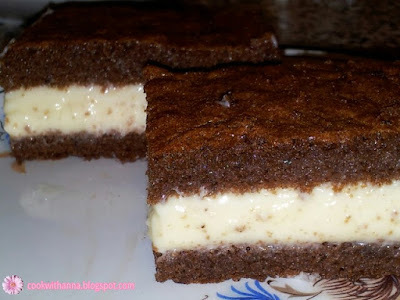 I recommend this cake with all my heart, it turned up so good that I had to make it again the next day. 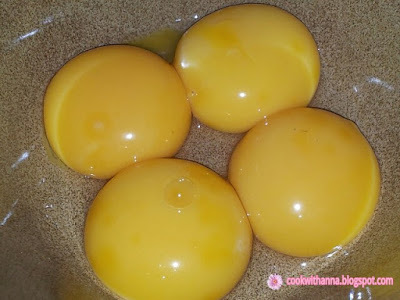 For the cake mixture: separate the eggs and mix the egg yolks with the sugar and vanilla sugar until they become whiter. 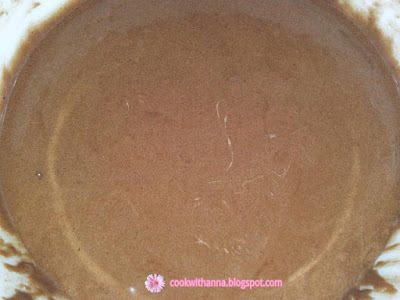 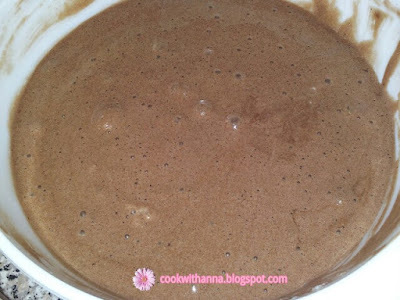 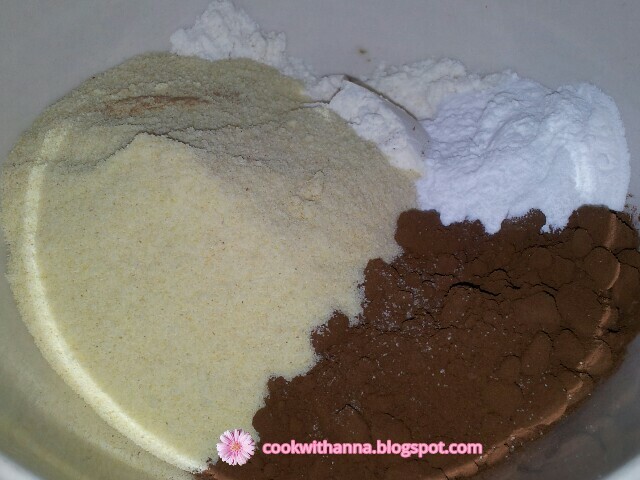 In a separate bowl mix the flour, semolina, cocoa and baking powder. 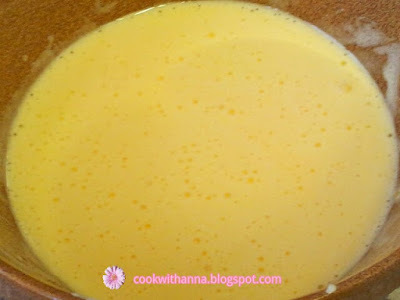 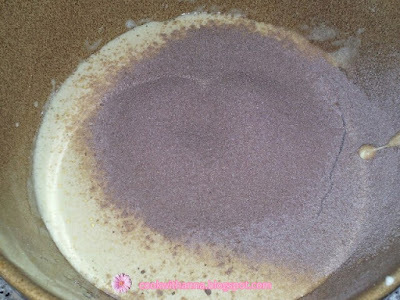 Mix the egg yolks with the milk, oil and honey then sieve the flour and mix it in bit by bit. Beat the egg whites with a pinch of salt until shiny and fluffy, then fold it in with the cake mixture. 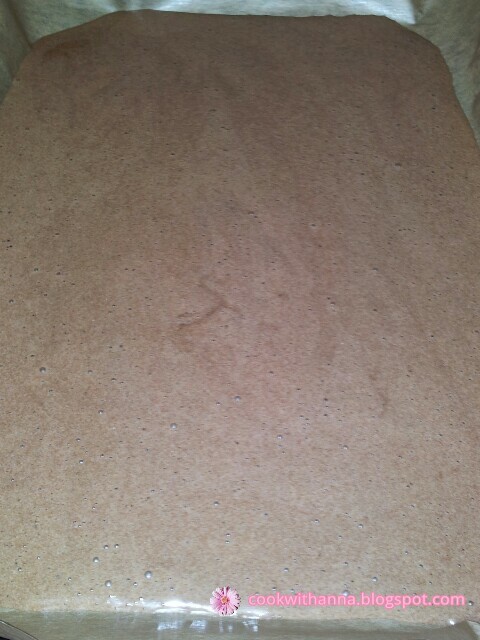 Split the cake mixture into two equal parts, and pour it into two trays with greese proof paper. Bake it at 160C/gas mark 4 for 15 minutes. For the cream: In a big bowl mix the condensed milk with 50ml of the milk. 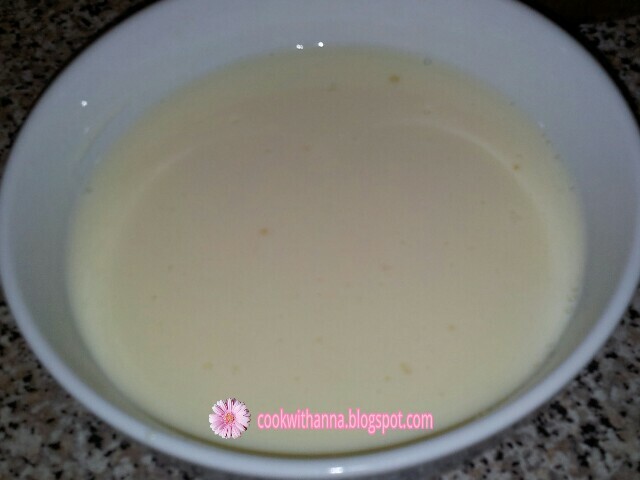 Put the rest of the milk in a sauce pan and disolve the gelatin on a low heat, then mix it with the condensend milk. 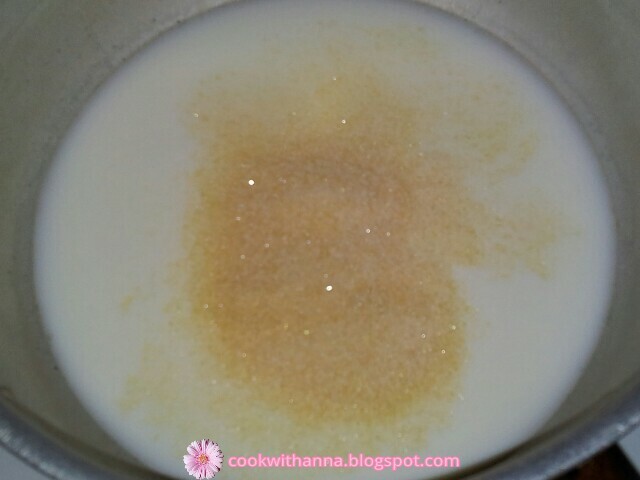 Add the honey and vanilla essence. Mix the double cream and add it to the rest of the ingredients. 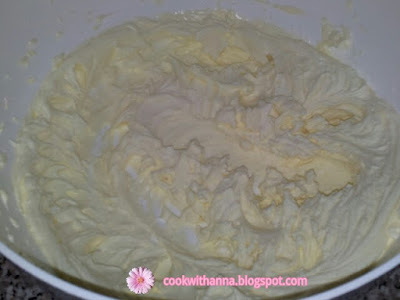 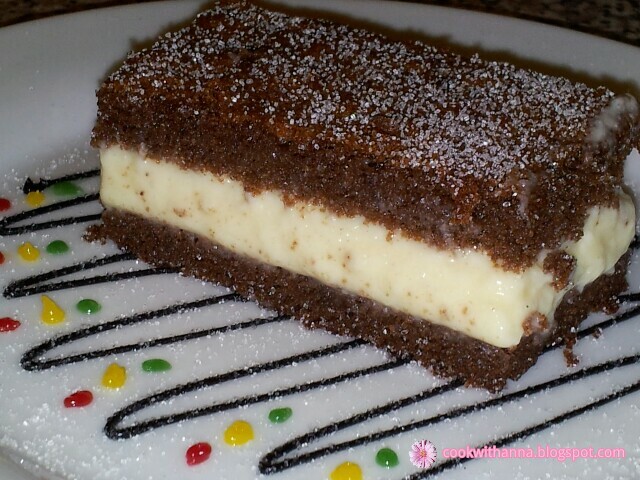 Put the cream in the fridge for 30 minutes, then spread it between the cake sheets. 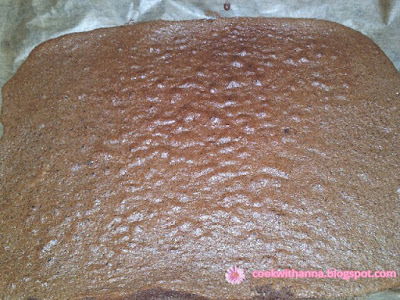 Put the cake in the fridge for at least 2-3 hours. 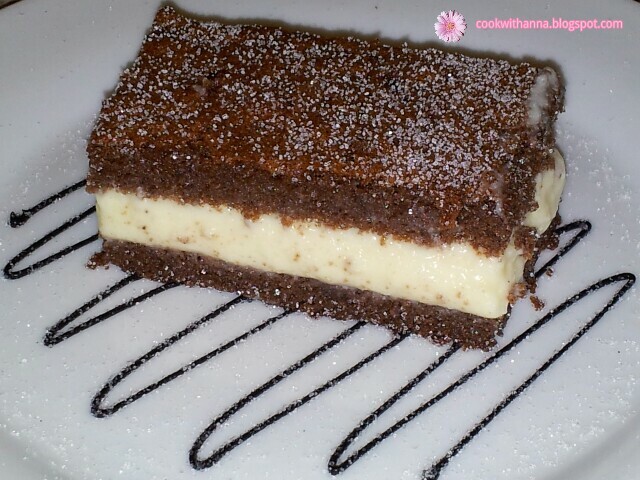 Cut it into rectangles and it's ready to serve.